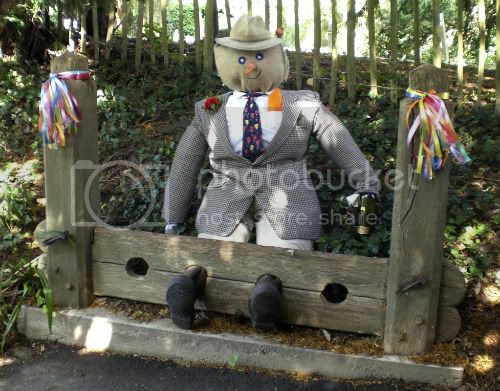 Village/ Town stocks - are there many left? Topic: Village/ Town stocks - are there many left? Re: Village/ Town stocks - are there many left? Bryn, that looks more like a pillory to me. Stocks outside Fordwich Town Hall. On the ground floor of the town hall is a small lock-up last used in 1853 for holding two men convicted of poaching. The parish stocks at Marden. Grade ll listed. The stocks originally stood by the court house. In 1882 they were moved to St Michael's and All Angels Churchyard. The stocks were last used in the 1860's. 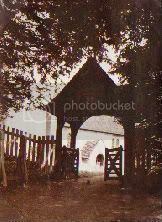 The Monkton stocks. Grade ll listed. Close to the Church of St Mary Magdalene, Monkton Street, Monkton. Hasn't Offham got a set near the Quintain? Still a set outside Monkton church. Sorry I haven't got time to pop up and take a picture today but you can see them on google street view. The old stocks at Tilmanstone rotted away about 1930. New ones were made to celebrate the Queen's Silver Jubilee in 1977 by villager/carpenter Sonny Birch (great-grandson of village carpenter Henry Colthup), from old local oak, and the stocks were dedicated by the then Vicar, Revd John Brooks.